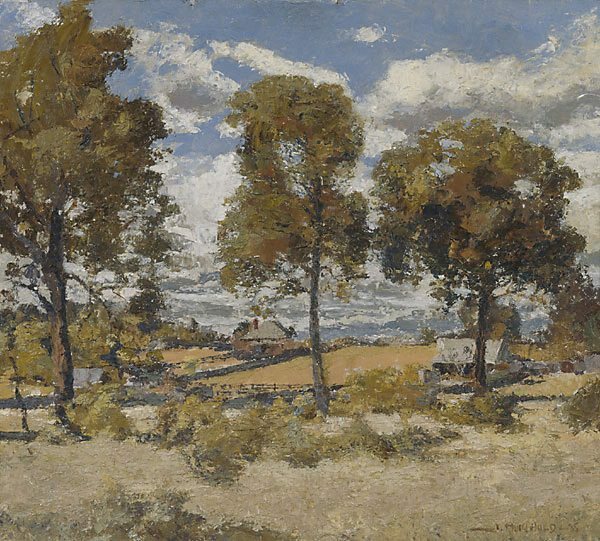 This painting won the Wynne Prize in 1935 and was acquired by the Gallery in 1935. Signed and dated l.r. corner, brown oil "J. MUIR AULD -35". Bob Pauling, Art & Music in early Dee Why , Neutral Bay, 2010, 15. The Wynne prize: an Australian landscape tradition , Sydney, 1986, 26. Society of Artists, Society of Artists Annual Exhibition (1935) , Sydney, 1935.